Nature After Noon returns for another great year. This program will run Monday- Friday from 1pm to 3pm. Modeled after our summer Nature's Cool Mini-Camp program, children will spend time outside each day in the Nature Play Garden engaged in the most important childhood activity, play. Kids today spend less time outdoors than any previous generation. Our aim in the play garden is to reverse that trend. For those who haven't seen the space, it is certified nature classroom where the possibilities for imagination and engagement are endless. When not outside the kids will spend time in the Warming House. Play based items, books, and instructor lead activities will be available to them. Please note that this is not a school style program. It is play based and child led. A simple snack of popcorn and tea will be provided each day. Children who may want other snacks are welcome to bring them. **Tuition can be paid monthly. If using the online registration you will be charged the full semester. To pay monthly please call the office at 570-524-4774. Marah Biddle is BVRA's Recreation Director. She is a graduate of Lock Haven University, and was the assistant teacher at Nature School for the previous 2 years. Marah loves working with children and also runs our summer camp programs. Patricia Snyder is BVRA's Youth Education Coordinator through the AmeriCorps program. Patricia has four children of her own and is excited to get to know and care for the children of Nature After Noon. 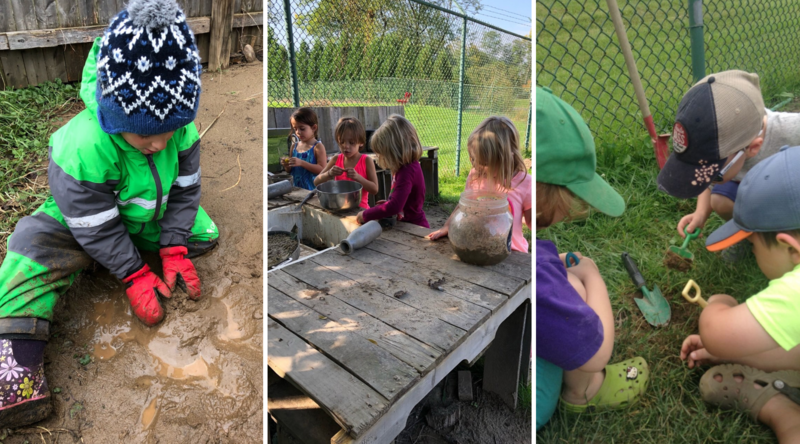 Nature play is defined as a learning process, engaging children in working together to develop physical skills, to exercise their imaginations, to stimulate artistic expression, and to begin to understand the workings of the world around them. The Nature Play Garden has been designed to facilitate this process. 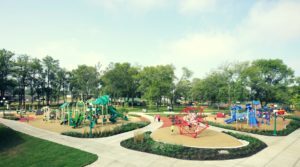 There are areas for digging, building, imaginative play, and more. Will my child be outdoors in winter weather? Yes. There is no bad weather, only bad clothing. We are committed to spending time outdoors each day. Rain and snow will not deter our young explorers. Extreme temperatures, cold or hot, may shorten the amount of time spent outside, but all participants should come prepared to be outdoors. Each day children will begin their time outside. Children should arrive at the Warming House in weather appropriate clothing. Winter boots, wool socks, snow or rain pants, coats, gloves, and hats are essential. We encourage layers. Children will end the day inside the warming house. Instructors will provide games and activities for free play. As well as a snack of warm tea and popcorn. Dressing for the weather is key. Please look at the forecast for the day and dress your child warmer than you think is necessary. Coats and gloves can always be removed if the child gets too warm. Over-dressing ensures that your child does not get too cold. Snow or rain pants, wool socks, and waterproof boots will keep your child warm and toasty, leaving them to focus on play. Additionally, each child will be provided a bag with their name on it. This bag should come to school each day with your child. It should contain spare clothing and additional warm clothing. These clothes can be used if your child becomes wet or muddy. Each child should also bring a water bottle. Also, if your child regularly becomes hungry, it is a good idea to send additional snacks they can access. Nature afternoon follows the same schedule as the Lewisburg School District and enrolls by semester. We are currently enrolling for the 2018 Fall Semester. The following are the holiday dates currently built in.